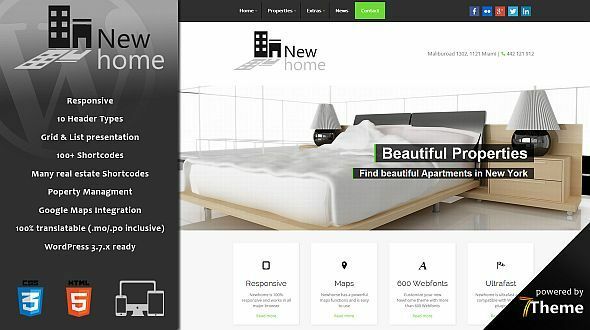 Newhome is an fully responsive WordPress Real Estate theme with extensive options and functions. It gives you powerful options for displaying your properties and communicating with potential buyers. 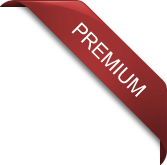 It comes with lots of features like: advanced property search, default and grid listing, property slider content, theme options, easy to use admin panel, 100+ shortcodes, custom widgets, many page templates, unlimited colors, 600+ fonts, more than 380 retina ready icons and tons more. This theme is a perfect solution for professionals and agencies working with Real Estate. Newhome is extremely easy to use! Once a visitor found a relevant listing, he can easily contact the agent by using the form right under the property details, the agent will receive all the potential buyer information and contact him right away! 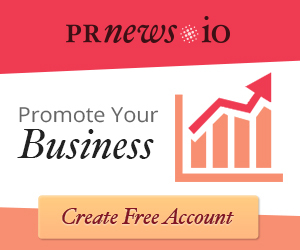 Newhome is ready to put your website on higher ranks. Every line of code was developed with SEO principles in mind. 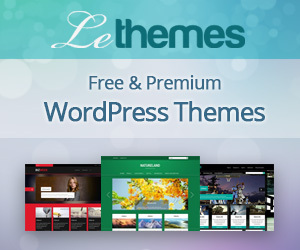 Newhome theme has very easy and comprehensive set of theme options that will help you configure and modify the things around your site more easily. Newhome comes with the .po/.mo language files included so you can easily translate your whole website into any language you want! i bought new home and installed it already. I do have problems with the language (German). It seems that some of the labels e.g. “Price” – Will not translated to german language. I purchased this THEME a while ago. I have still some problems and contact you in the past via this contact form. But didnt received any response! – After updating the edited site, some of the drop down fields becomes re-adjusted, although I didnt make any changes. E.g. : the drop down menu for “price”. I selected several times “monthly” but every time I update the site it will re-adjusted to “yearly”. Please fix both shortly or describe me how to.